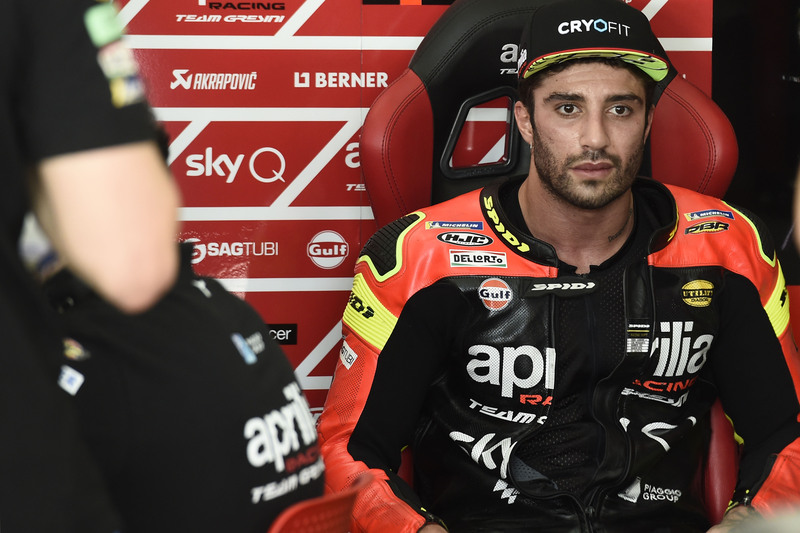 Aprilia continued its good work as it ended the first MotoGP pre-season test inside the top 10, though new signing Andrea Iannone was absent. Aleix Espargaro rose to seventh for Aprilia as Andrea Iannone was forced to skip the final day of running at the opening MotoGP pre-season test at Sepang. Espargaro noted how the Italian squad’s 2019 challenger was “much better” compared to its predecessor after a promising opening day, and the Spaniard continued to gain as he finished seventh and within eight tenths of Danilo Petrucci’s record-setting pace for Ducati. Aprilia has made a number of key changes to its MotoGP operations for the upcoming campaign after its 2018 struggles and hired ex-Ferrari man Massimo Rivola to head its latest assault. "This bike is the bike I was expecting to have last season,” Espargaro said. “I feel great on the bike, especially in my position. “I can ride aggressive and when I put on new tyres i ask to go the limit I can do many [laps in the] 1m59s instead of crashing. This means that I feel good on the bike. "The 18 bike was completely out of the way. I don’t really know still why we build that bike but the 19 bike is an evolution of the 17, it goes on the direction that I like. “The first thing is to have a bike where you feel comfortable and from now on we can build something better. “The next step for me is to find more power. I think we have a really good chassis but when you see the top four guys, the Ducati’s, the strongest engine of the grid it’s clear. New signing Iannone missed entire running on the final day after suffering from a jaw infection that requires him to be on antibiotics. New test rider Bradley Smith filled in, ending up 23rd in the timings. “Even though it came after a course of antibiotics, we did two good days of work,” Iannone explained. “Thursday was especially important in terms of how many laps we turned and how we did them and because of how we began to make changes to the bike. “This was my first test on this bike, and I can confirm that we have a lot of potential to explore. “But the conditions here are hard even when you are at full fitness and, given the work we did and the fact that the test team was here, today we preferred to take a rest. “We made the decision with the team, purely as a precaution. We’ll pick up where we left off in Qatar, hopefully at full fitness and certainly with much clearer ideas."